SCVHistory.com LW3242 | FIlm-Arts | French Movie Poster: 'Le Sherif est en Prison' ('Blazing Saddles'), Warner Bros. 1974. 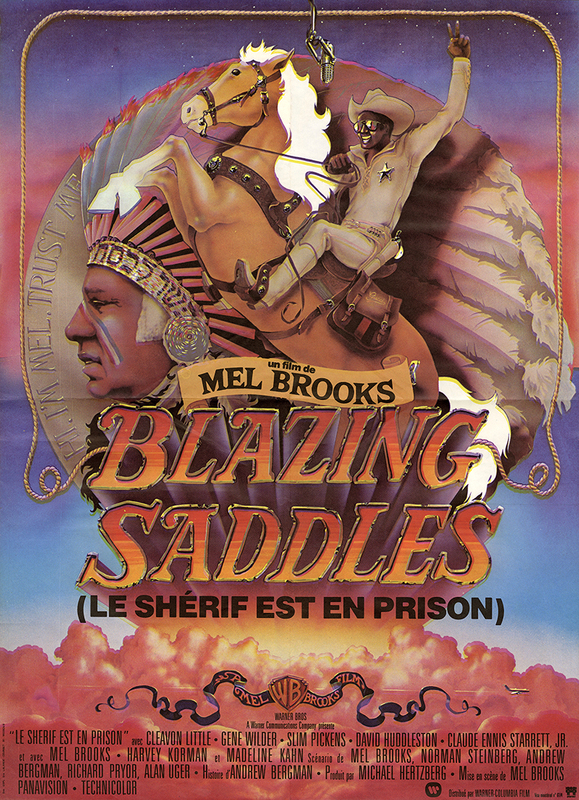 Original French half-sheet movie poster (petite affichette) for Mel Brooks' "Blazing Saddles," as "Le Shérif est en Prison." Approx. 23x31 inches, issued quarter-folded. French audiences had to wait nearly a year to witness the hijinks at Vasquez Rocks. 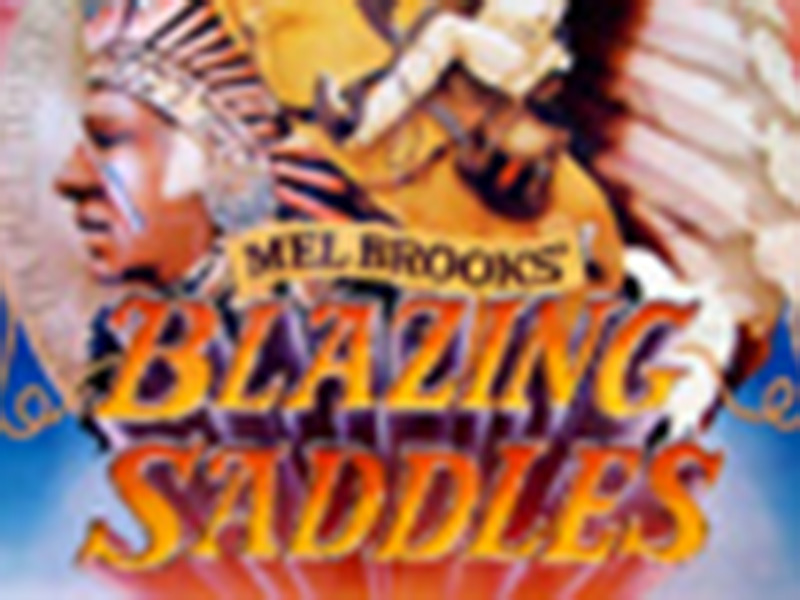 "Blazing Saddles" premiered February 7, 1974, in the U.S. but wasn't released until January 8, 1975, in France. 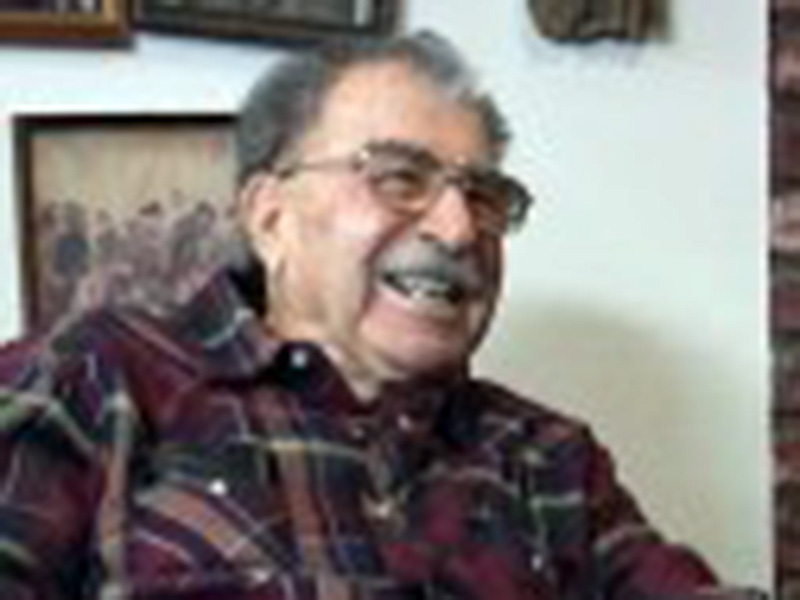 LW3242: 9600 dpi jpeg from original poster purchased 2018 by Leon Worden.